Pawning is much like getting a secured loan from a bank or traditional loan company. The borrower provides suitable items of value as collateral. 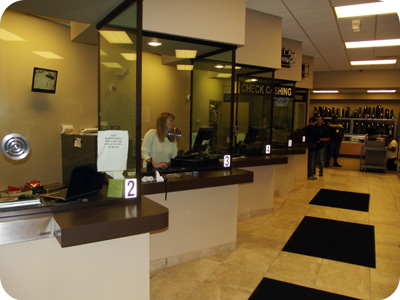 The items are held by the pawn broker until the loan is repaid with interest. If the loan is not repaid as set forth in the loan agreement the collateral lawfully becomes the property of the lender. Our buyers cannot determine the value your articles by phone, fax or email. An associate must see and inspect the items before making you an offer. Bring your items to our store is the best way to insure the very best price for your items. Minimum age for sellers is 18 years. A possible alternative is to bring a parent or legal guardian with a legal picture ID. In limited instances, such as titled vehicles, new articles in sealed cartons, etc., you must provide proof of ownership, clear title, purchase receipt or bill of sale. SELLING YOUR VALUABLES TO 8 MILE PAWNBROKERS IS EASY. WE PAY IN CASH! 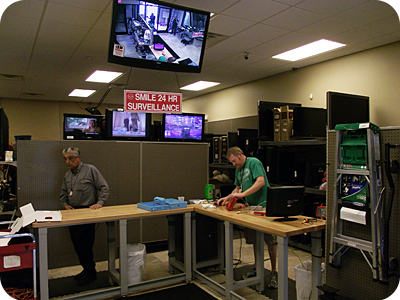 8 Mile PawnBrokers in Warren Michigan has interest in buying almost anything of value. We welcome opportunities to make cash offers on items you wish to sell. A knowledgeable buyer will evaluate your articles and make a firm cash offer. * 8 Mile PawnBrokers reserves the right to decline to make offers on any items. 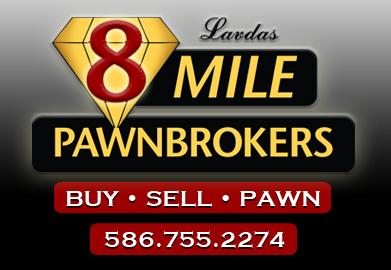 Copyright © 2011 Lavdas 8 Mile PawnBrokers. All rights reserved.